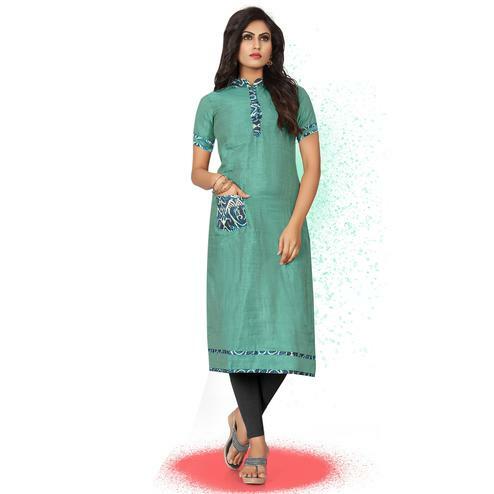 Simple Yet Stylish This Fresh Fashion Round Neck Cream – Parrot Color Kurti Is A Must Have In Your Wardrobe. 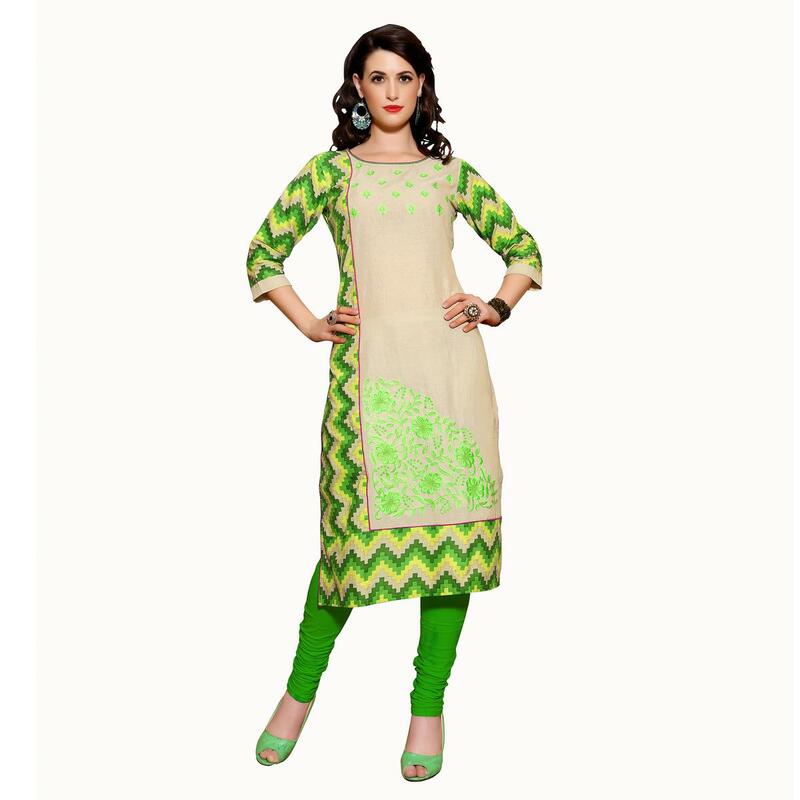 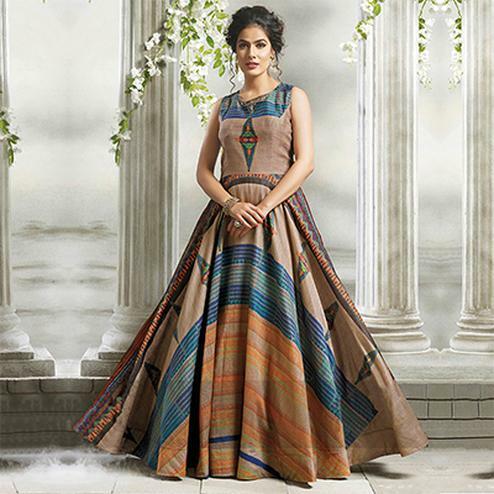 The Kurti Long has Floral Embroidery on its Front & Zig Zag Printed Back. 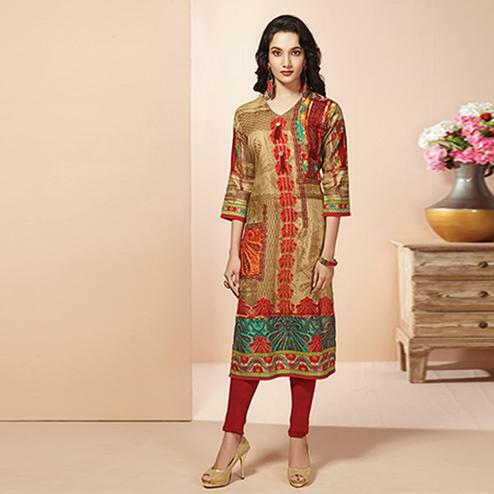 This Attire Is Beautified With Stylish Thread Embroidery.